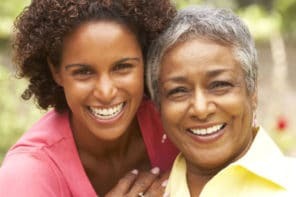 Doing something that’s enjoyable and mentally stimulating improves your senior’s quality of life. 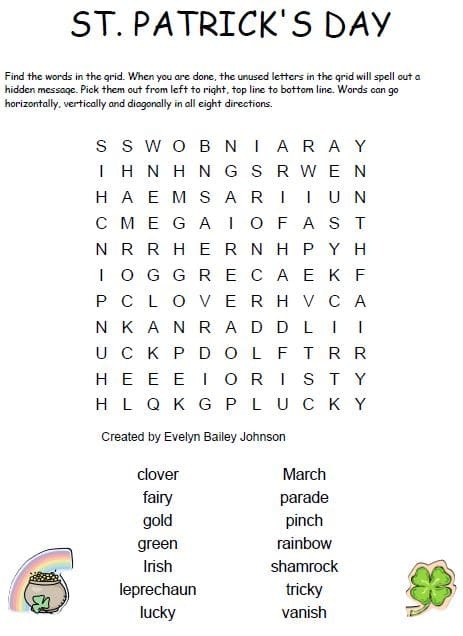 We found a great website with free large print crossword puzzles your older adult will love. In addition to the fun, studies have shown that brain exercises can keep seniors sharper for up to 10 years longer. 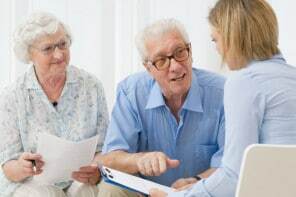 And, games like crosswords may help older adults prevent brain plaques associated with Alzheimer’s disease. 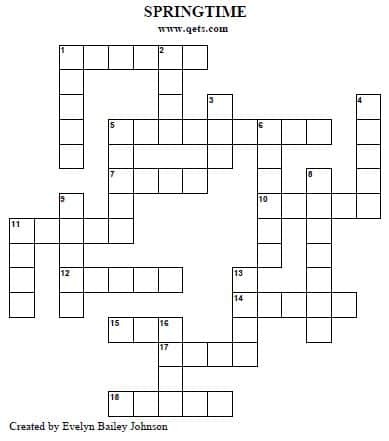 These free crossword puzzles from QETS are in PDF format. That means all you need to do is open the PDF document and print it out. You could also save the PDF to your computer so you can print it anytime. DailyCaring tip: If the puzzle still isn’t large enough for your senior to easily see, you can make it bigger by changing the print settings. Use print preview to make sure the puzzle still fits on the paper. Every month, there are new puzzles – 5 standard crosswords, 5 free form crosswords (a non-square shape), and 1 or 2 word search puzzles. That’s almost a dozen new puzzles each month! There’s also an extensive archive with dozens of each type of puzzle from previous months. Here are a few scaled-down images to show you what two of the puzzle types look like. When you print them, they’ll be larger than what you see here. These free crossword puzzles will keep your senior entertained and exercise their brain. You might even want to print a few for yourself to enjoy! Love this service. I am the caregiver for my wife. These puzzles are truly helpful. Thanks James! So glad this is helpful! Please add help information so I would be able to participate. Hi Martha, Click the “Next Step” link to go directly to the website that offers dozens of free puzzles. Have fun! The great thing about these puzzles is that they are in PDF format. The default print size for each puzzle fits on one piece of paper. If you want the puzzle to be larger, you can adjust the print settings. If you choose to print all the pages at the default settings, it would take 4 pieces of paper. The puzzle clues for Across and Down each print on one page. And the answer to the puzzle prints on another page. But, you can always choose to print only the pages you want.